The Huntingdon 35 stove is available in individual multi fuel and wood burning stove versions. 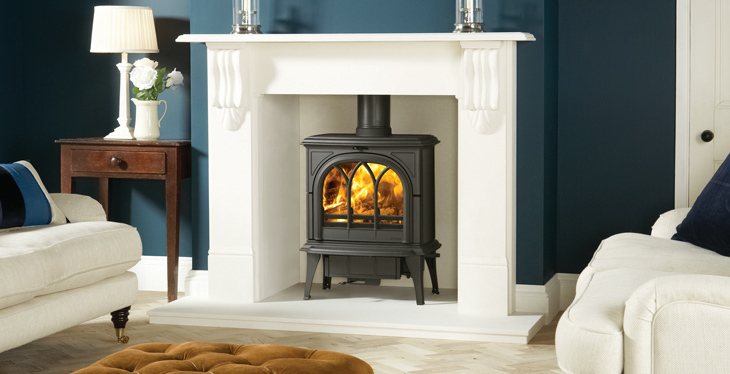 The clean, graceful lines of this classic stove design look attractive even when it is not alight. The wood burning version of the Huntingdon 35 stove has a solid cast iron base, as wood burns more efficiently on a bed of ash, and no ashpan. The Hungtindon 35 multi fuel stove incorporates external riddling, a grate and ashpan as well as dual air controls for accurate regulation of the flames and combustion.